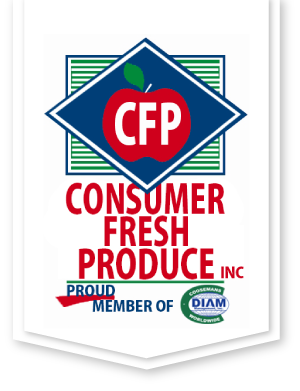 Consumer Fresh Produce is an innovative distributor of fresh, high quality produce. As a leader in produce supply chain management, our total commitment to rigorous standards in cold chain maintenance assures a longer shelf life and maximum return on investment. From our modern, fully climate-controlled warehouse in Pittsburgh's Strip District, we select and deliver a rich selection of fruits, vegetables, fresh cuts, herbs, wine grapes and specialty items. Our highly experienced team delivers the best service and value to retail, food service and wholesale markets in Western Pennsylvania, New York, Maryland, Ohio, Virginia and West Virginia.